Opinion is divided amongst the top leadership of Germany’s Social Democrats on whether their party leader Martin Schulz should reconsider another alliance with Chancellor Angela Merkel’s conservatives and form a coalition government. Immediately after the September 23rd general elections, Schulz had said that the Social Democrats would not be available for a ‘grand coalition’ any longer and he has reiterated this position ever since, with large support from the SPD members. 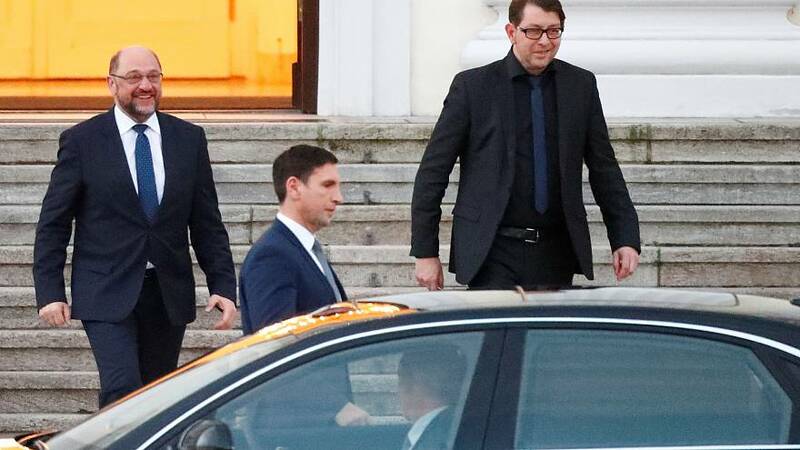 However, after the failed exploratory talks between Chancellor Merkel’s CDU, the Bavarian sister Party CSU, the Free Democrats FDP and Alliance90/The Greens, some SPD have indicated that they would not categorically exclude talks about an CDU/CSU alliance any longer. Others favour re-elections, while some think a minority government of Merkel’s CDU, the CSU and the Greens would be a good option.